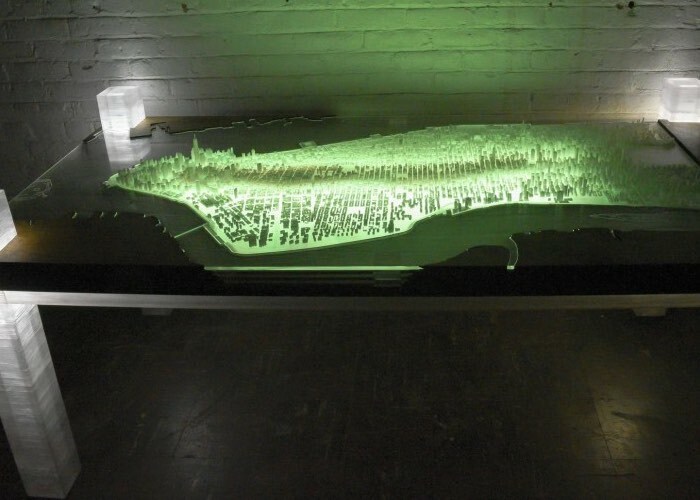 Artist Troy Huang has created a very unique desk which has been created using a 3D printed map of manhattan that provides a scale replica of Manhattan which contains every building, street and landmark. All assembled, the frame of the desk measures 30 x 60 x 32 inches in size and all the city blocks were designed using the 3ds Max and Rhino software before then being printed using glow-in-the-dark filament that is also partially transparent. While creating his amazing desk, Huang visited every block of the city, got to know what its purpose was, and tried to learn the history of all of the buildings. His detailed recreation of the city makes for quite the stunning tribute to one of the greatest cities in the world. Huang started by painstakingly mapping out the geography of the island of Manhattan and then laser cutting sheets of plywood to match the topography. Once all of the plywood sheets were cut, he layered them together and built a 3D version of the island. At that point he started 3D modelling each of the city blocks individually, using reference photos and satellite imagery to make sure that he got the scale correct. Once the blocks were printed, Huang individually glued each city block in place using an acrylic adhesive called Weld-On 4, which is a water-thin binding agent that bonds thermoplastics together by slightly melting, or welding, both surfaces together. after the entire city was placed he installed strips of LED lighting underneath of it so the buildings would glow up from underneath. 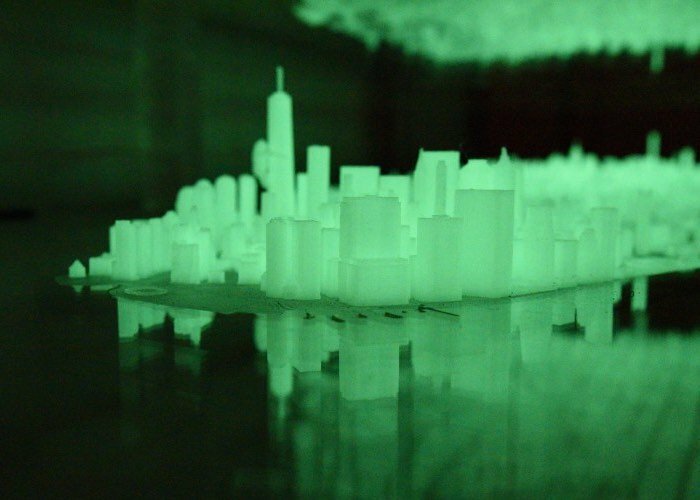 To simulate the water from the surrounding Hudson River, Huang used a liquid acrylic that hardens clear and would reflect the light show given off by the LEDs.